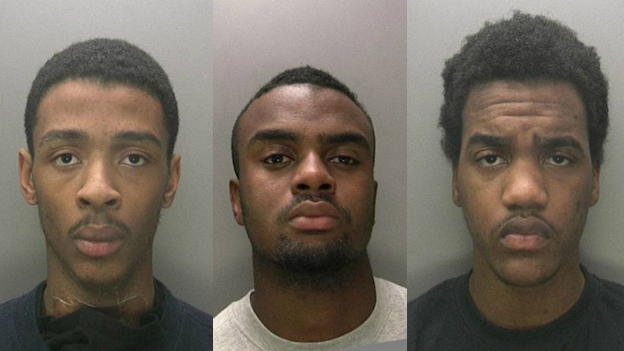 Three young men have been jailed for life after a teenager was fatally stabbed in a row over a mobile phone. Montell Stephens, who repeatedly plunged a knife into 19-year-old Sheriff Mbye, will serve at least 25 years. Rakeem Riley and Omar Robinson, who encouraged the fight, will stay in prison for at least 20 and 22 years respectively. 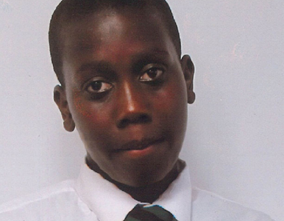 Stephens, 19, of William Savage Way, Smethwick , had previously been found guilty of murder. Riley, 19, of no fixed address, and Robinson, 21, of Rann Close, Ladywood , were convicted by a jury of aiding and abetting Stephens and wounding Stephens with intent. Birmingham Crown Court heard the fight, on April 17, could have been sparked by a dispute over a mobile phone. Judge Mark Wall QC said it was yet another example of the “tragic and predictable consequences” of young men carrying and using knives. He went on: “In the early part of this year you, Stephens, and Mr Mbye fell out. “It is shocking to think, if it is true, that this was over a mobile phone worth no more than £100. The judge said Stephens carried a “fearsome” knife at all times, as well as latex gloves to avoid getting blood on his hands. On the day those involved had shouted obscenities at each other in Northfield High Street before agreeing to go to a side street for a “one-on-one” fight. The judge said Stephens delivered a fatal wound to Mr Mbye’s thigh and went on: “You wanted to make sure that he would die. The court heard previously that, on the afternoon in question, Mr Mbye, Riley and Robinson had gone to a shop and bought five hunting style knives. Mr Mbye was taken to Queen Elizabeth Hospital while Stephens dumped his knife before staggering to a barbers shop, where he collapsed. Mark Haywood, for Stephens, said the fatal wound had not been to an “obviously vulnerable” part of the body and that Stephens himself had come very close to death as a result of the wounds he suffered. Kevin Hegarty, for Riley, said the fight would have happened whether he was there or not and he had later tried to save Mr Mbye’s life. After the hearing, West Midlands Police said Mr Mbye had demanded a refund on a second-hand phone he bought from Stephens. But Stephens had already spent the cash and the pair had previously fought over the deal. Det Insp Jim Munro, of force CID, said: “Stephens was armed with a knife, as he feared for his safety following the recent fight, and CCTV captured him lunging at Mr Mbye. “One of the recently -purchased knives was used to injure Stephens, who ran back to the barber shop and collapsed on the floor, after dumping his knife and a pair of latex gloves behind a nearby shop. “Fortunately a member of the public was able to administer first aid, which no doubt helped save his life. “Mr Mbye sadly, was not so fortunate. “Our sympathies remain with Sheriff’s family as they have, no doubt, had to relive the trauma of losing him again throughout this trial, but I hope the conviction brings them some comfort. “Sadly the truth is that had these men not been carrying knives they may well have had a bit of a dust-up and most likely walked away with a few cuts and bruises. “Who knows, it may well have settled their differences. “But carrying a knife, or anything that could be used as a weapon, is a game changer. “If you set foot in public with a knife you not only endanger other people’s lives but also your own. “If someone with a knife gets caught up in a row or scuffle there’s every chance that knife could be used to injure or kill − and may well be used against the carrier.